If I remember correctly, the baby Gilly has with her isn't her baby at all in the books - she took away Mance Rayder's baby (as son of the King Beyond the Wall - Melissandra was going to kill the baby along with Mance, if I remember correctly). Of course, this means that Gilly's baby was probably killed in its place (poor innocent babe!). None of that was mentioned/shown in the TV show though, to my recollection. I was glad to see Gendry make a reappearance. Although another illegitimate son of Baratheon, he is still the son of the last king, as well as his last known surviving progeny (the reason he ran and hid his identity last time was because all Robert Baratheon's illegitimate children were being slaughtered, if my memory serves). So really, it's an interesting mix we have: Cercei - queen regent (as wife of the last king who now has now surviving legitimate children) Gendry - illegitimate son of the last king Dany - daughter of the deposed and murdered Targaryan king Jon - grandson of the Targaryan King, and son of that king's eldest son and heir Is that everyone? All with varying degrees of rightful claim to the Iron Throne, all with a lot to gain, and just as much to lose. There's also a theory that says the Night King is also of Targaryan descent, due to his ability to ride the dead dragon, but as he is in control of all the walkers (of all races), I don't hold too much stock with that reasoning. Last year, some of my friends on Facebook got so fed up of my running commentary on SCD that I started up a FB group specifically for it so I wouldn't clog up people's news feeds LOL! I'm looking forward to watching and commentating again! I'm pretty certain Jamie is riding off to join the fight in the north, keeping his word. As Brienne said, "F**k loyalty!" He looked genuinely shocked and disgusted at Cercei going back on her word to support the fight against the white walkers, and I think his chivalry and honour won't allow him to stand by and follow Cersei this time. Of course, it means that Dany and Jon will be fully apprised of Cercei's treachery when he tells them he's come alone! I actually think that many of the changes for the better in his character are entirely down to the time he spent with Brienne - she is the epitome of traditional chivalric behaviour. I've also been certain for some time that the "little brother" reference in the prophecy of Cercei's death has been misplaced on Tyrion this whole time, and that Jamie will actually be her downfall. After all, he is the younger twin! Another thing I'm certain of is that Jon/Aegon (as we now know he is!) will be riding that second dragon. Although they're aunt and nephew, the Targaryans do have a history of marriage between members of their own family, so they may well decide to stay together, especially if Dany turns out to have fallen pregnant by him after their night of steamy passion! The look from Tyrion, I think, is worry that the pair of them having a relationship will a) be distracting for them both, b) cause extra tension and division on the battlefield (because one will always go to save the other over sticking at their post if they're in love! ), and c) at the moment, Jon Snow is a "person of dubious parentage", and the Queen having him as her consort weakens her position - she needs a husband of royal, or at the very least, noble blood, to consolidate her position. Of course, when it's discovered that HE is actually the natural heir to the Iron Throne, it could cause all kinds of problems, with Dany believing it to be HER birthright and fighting for it for so long. Either way, it's going to be one hell of a hot mess! I was both overjoyed and repulsed at the same time over the Jon/Dany bedroom scene, knowing what we know about their relationship that they don't. I was SCreaming AT THE SCREEN "Don't do it! She's your auntie!!!" So pleased to see Littlefinger get what was coming to him, and the smug look on Arya's face when he realised what was happening and she took him down - way to go, girl! Nobody messes with the Stark sisters and gets away with it! I totally want The Hound to take down The Mountain - a reckoning long overdue I also loved how proud the Hound looked when Brienne told him that Arya was a force to be reckoned with and needed nobody's protection - I think he feels almost paternal pride in how far she's come. I really hope Tormund is OK - I desperately want him to make huge, fat babies with Brienne! Loved that Sam Tarly knew more than Bran about Jon Snow though - I was all like "Stick THAT in your pipe and smoke it, so-called 3-eyed raven!" (I've never liked the character of Bran Stark, neither in the book or the show, but I love Sam! And that dragon with its blue fire - OMGs that was spectacular! But how long can it keep flying when its wings are rotting away? They're already full of holes, and it can't be long before the poor undead creature is grounded. Doctor Who Series 10 + New Doctor? I confess, I'm really excited about the casting choice for the 13th Doctor - I've waited my whole life for them to cast a woman in the role. When you think about it, there have been 12 (13, if you count John Hurt!) white men in the role since it started, it's only law of averages that the Doctor would eventually regenerate into a female form, and I'd say there's a very likely chance the 14th Doctor will be either black or Asian - again, law of averages, rather than PC casting! We haven't caught up with the most recent season yet, as we went back and watched all the episodes since the reboot with Eccleston with the kids. We were going to leave the new casting as a surprise for the kids when the Doctor regenerates in the Xmas special, but Xander was desperate to know, so today I showed him and Josh the promo vid that shows Jodi Whittaker. They were both absolutely over the moon to have a lady Doctor - Xander actually said, "At least! It's about time - after all, the Master became Missy!" Turns out, it's not just little girls who have been waiting a long time for this - some of the boys think it's been a long time coming too! Having watched the first two eps of the new season now, I think it's a good, strong start to the season, and I'm really looking forward to see what happens!!! I know this is several years later, but this is exactly what happened. I loved the first book, thought the second was, well, OK, but nothing special, and then couldn't even finish the third one because I really wasn't enjoying it at all!!! Simple but nutritional dishes for students? I'm no longer a student, but a few simple meals I still make now from my student days. If you don't already have one, invest in a slow cooker - they're great for chucking stuff into in the morning and having your diner ready when you come in at night! I also like to batch cook when I get the chance, and portion stuff up to freeze. I don't know if you're vegetarian, but as I'm not, here are a few meals I make. Most of them can be made vegetarian by just leaving out the meat and using an alternative source of protein, such as quorn, tofu, or pulses. I make a huge batch of basic bolognese base (mince, tomatoes, onion, garlic, whatever other veg I have - usually courgette, peppers, mushrooms, etc), then I split it into 3. 1/3rd gets portioned up as bolognese. 1/3rd gets made into individual lasagnes (make a basic white or cheese sauce, and layer up with pasta sheets, top with cheese - these can be frozen without pre-cooking the pasta, and just defrosted and popped in the oven). 1/3rd gets kidney beans, chillies, and chilli powder added, and is portioned up as chilli. I don't add pasta or rice to these dishes, as they're quick and easy to cook in whatever quantity I want on any given day. Serve with chips or baked potato, or salad for a healthy, filling meal. Other meals I batch cook are: 1) curry (chicken, beef, fish, vegetarian - whatever you like) with loads of veg in, sometimes with chickpeas or butterbeans or lentils in too, so extra protein. I freeze as is without rice, because sometimes I have something else with it. 2) corned beef hash (cook potatoes, swede, and carrots, then mash them all together with some fried onion and corned beef). Serve with whatever extra veg you like, add sauce or gravy as preferred. You can serve as is, or grill it for a crispy top. Very nice with cheese melted on top too. Freezes well. 3) corned beef stew (corned beef, potatoes, and veg, bunged in the slow cooker with whatever veg I fancy - usually root veg - and some beef stock). Again, freezes well, and you can serve with extra veg, or as is. I often steam some cauliflower and broccoli to have with it, as it works better that way than putting it in the slow cooker (they kinda turn to mush if you cook them in the dish!). 4) soup (honestly, any kind of soup you fancy, or just chuck veg in and hope for the best - great for using up leftovers of veg at the end of the week, when you have a lone carrot, a sad onion, and some leftover chicken or whatever). There are also loads of quick, simple, healthy meals you can cook within about 20 minutes including prep. I love stir fries for this very reason. I also often cook chicken or salmon in a mixture of soy sauce and honey, then add that to the veg I'm stir frying. Again, I just tend to use whatever I have to hand - peppers, onion, garlic, courgette, mushrooms, baby corn - whatever I have in. A roast chicken can provide meals for several days, as you can make curry and soup with leftovers. Don't be afraid to use frozen or tinned veg - they all count as your five a day too, and can help keep things economical (especially with frozen veg), as it lasts longer and you can just take out what you're going to use. What's Up in July 2017? Last weekend I had a gig singing at a 60th wedding anniversary, so I did all stuff from the 50s and 60s and wore a 50s style dress, complete with net underskirts (which are uncomfortable and scratchy - I don't know how women wore those things all the time back then!). Josh's sports day got cancelled due to bad weather, which was a shame, because it would have been his first one. Xander's was yesterday and he came first in the egg and spoon race (he ran like the wind and never dropped the egg even once - I couldn't believe it! ), 2nd in the sprint (he was up against the fastest kid in his year, who happens to be one of the fastest kids in the whole school! ), and third in the sack race. We missed the first half hour because I got my times wrong, so we missed the sack race - totally gutted! Tomorrow we have Grom coming round for Sunday dinner, so I'm spending today doing loads of housework (which I hate!). Next Saturday is my cousin's wedding. I managed to find the perfect outfit last week, so I'm all set, because it even goes well with some shoes and a matching bag I already had - awesome! 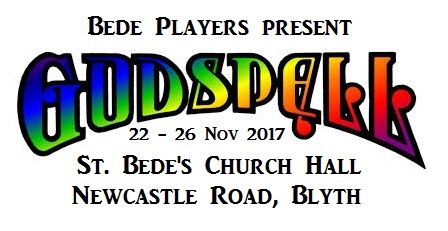 I'm pleased to announce that I'll be playing the role of Sonia in the Bede Players production of Godspell this November! 20 Years of Harry Potter - Fun Questions! Favourite and least favourite Harry Potter books? Favourite is Goblet of Fire, least favourite is Half Blood Prince Favourite and least favourite Harry Potter movies? Favourite is Prizoner of Azkaban (because it was the one that made me want to read the books) and Order of the Phoenix. Least favourite is The Deathly Hallows Pt 1 (aka Harry and Friends Go Camping...FOREVER!!!) Which house do you think you would be sorted into? Ravenclaw Which house did Pottermore sort you into? Ravenclaw Favourite and least favourite characters? Favourites are Luna Lovegood and Remis Lupin. Least favourite is Dobby - I couldn't stick him - too bloody annoying! Favourite and least favourite professors? Favourite professors are Lupin and McGonagle. Least favourites are Snape (because he's just a nasty, obsessive person full stop), and Dumbledor (because he plays favourites and is rather manipulative!) What would your patronus be (have you received details from Pottermore, or do you have your own idea)? I'm a dapple grey mare according to Pottermore. I don't know why, but I wasn't at all surprised! What would your wand be made of? (Pottermore) Elm wood with a unicorn hair core 10 3/4" and Quite Bendy flexibility Favourite spell? Wingardium Leviosa (I'm a total Hermione and I would have been correcting people about pronunciation in exactly the same way she did - LOL!) Favourite subject at Hogwarts? 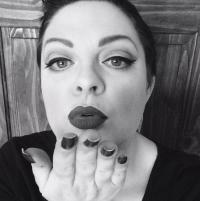 Transfiguration, History of Magic, and Muggle Studies Favourite thing/s about Hogwarts? The feasts in the Grand Hall!!! Also, just generally exploring the castle - I love old castles. I actually live not far from Alnwick Castle (which was used for exterior shots of Hogwarts) and love visiting it! What would your post-Hogwarts occupation be? I'd probably go into teaching, to be honest. I'd quite fancy teaching something like Muggle Studies. Either that. or I'd write for The Daily Prophet. Was anything left out of the movies that you really wanted to see? I can't think of anything right now as it's years since I read the books - I've just started re-reading them as of yesterday, starting with the first one. Was anything you would cut out (or down) in the movies? I wouldn't have split the last book into two movies. It felt like the first one was just the three of them camping for, like, EVER, and I got heartily bored with it. The second half was much better though. Favourite shop in Diagon Alley? Amanuenses Quills and Scribbulus Writing Instruments (coz I adore stationery), and both Obscurus Books and Whizz Hard Books (of course!) Favourite place in the wizarding world? I'd love to go visit Hogsmeade village Additional question: What is your Ilvermorny House? (Pottermore) I was sorted into Winged Serpent, which is not (as one might think) the Slytherin equivalent, but is instead (to my joy) the Ravenclaw equivalent. I think he didn't really hit his stride till the third one, which is when the Witches books started. I think that's why the Witches books are so well beloved (that, and the fact that Granny Weatherwax is just all kinds of awesome - LOL!). By the time of the Death and Watch books he absolutely soared!